Just a lunch?? 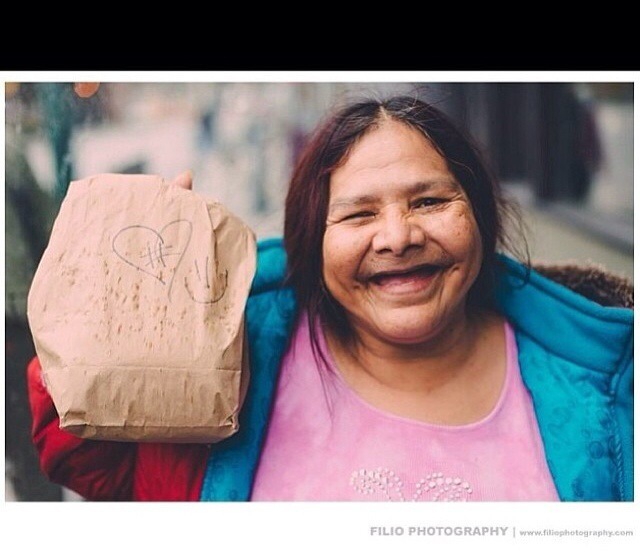 This smile tells me that this lunch made with love, from our #Hashtaglunchbag Vancouver volunteers, truly made her day! 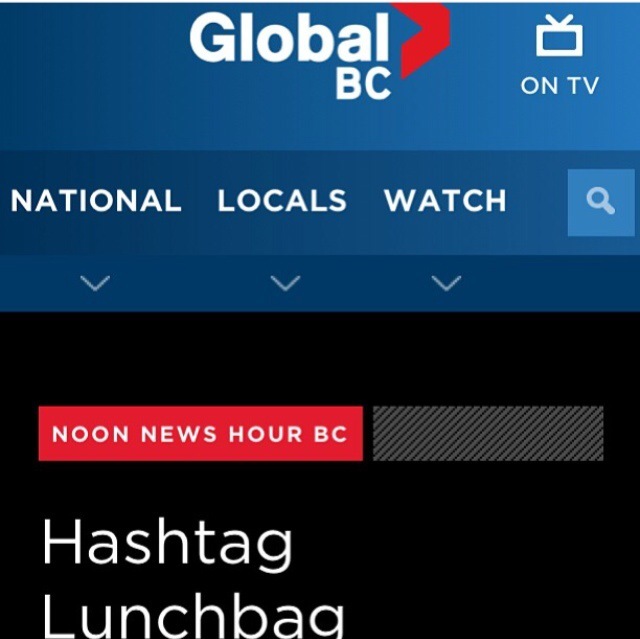 What is #hashtaglunchbag? It’s a movement that is dedicated to bringing awareness and eliminating hunger in local communities. The movement started in L.A, on Christmas Day in 2012. A few friends got together with the intent to feed the homeless in their community. They went to the grocery store, bought some lunch supplies and assembled them at one of their apartments. Afterwards, they hit the streets to distribute them. The feedback that they received from other friends that wanted to help out, was tremendous thus, the grassroots movement began. 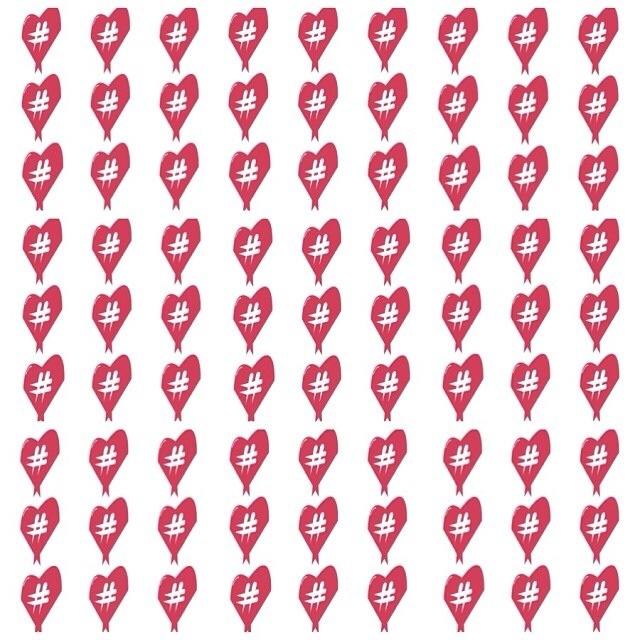 A simple hashtag was all this movement needed to bring awareness and when shared through social media, it began to spread. 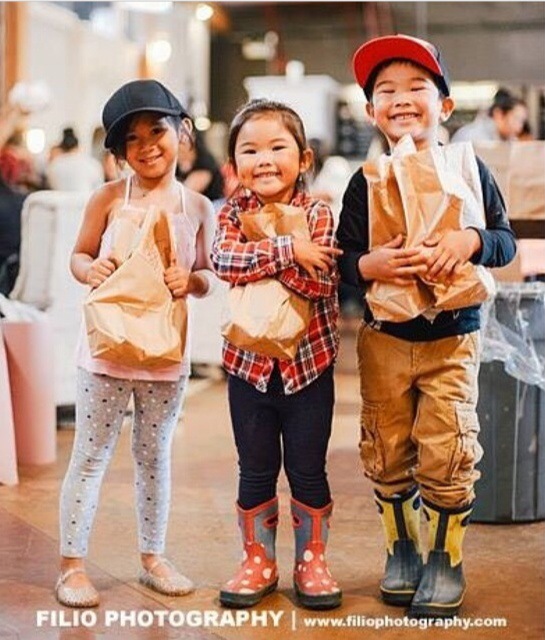 The last Sunday of every month, # Hashtaglunchbag coordinators from LA to Vancouver, gather a community of volunteers, and make lunches for the homeless. It’s really quite astonishing to see how a simple act of kindness, can result in so many people wanting to feed and spread love. It’s even more astounding to see how the movement has gone viral through social media, simply by people using the hashtag, and sharing on their feeds. This is the #hashtaglunchbag logo. It is drawn on all of the lunch bags that are distributed. 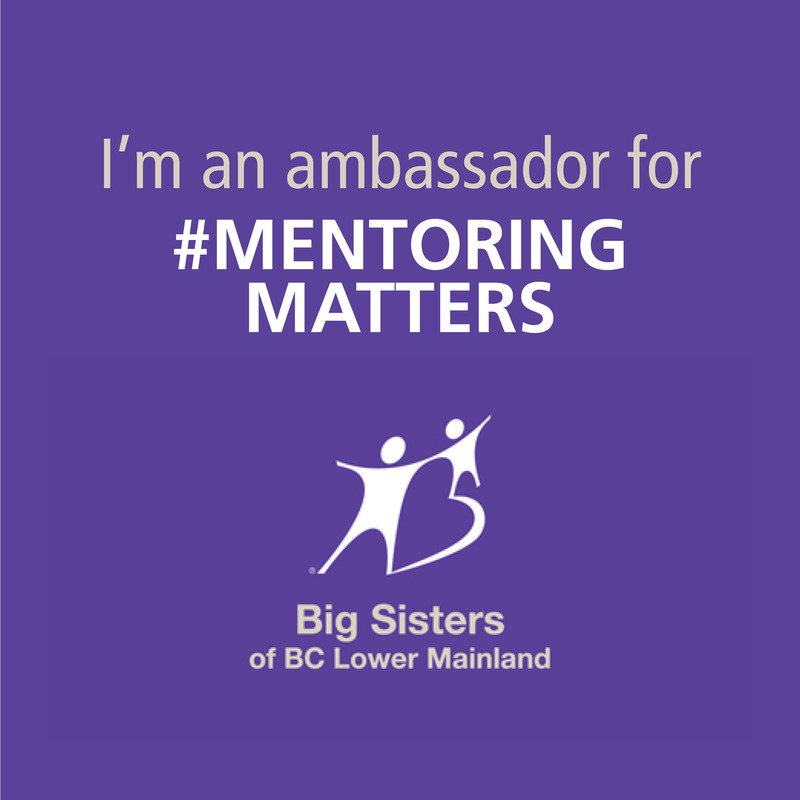 My involvement with Hashtaglunchbag Vancouver began when my best friend Sophia Mach, approached me with the information. She had just returned from L.A where she met the founders of the movement, and was super excited about what they were doing! She suggested that we start the movement in Vancouver, but she also mentioned that it was something that she really wanted to do, with me! We got a few other close, like-minded friends on board, and planned for our first event. Here we are, the #hashtaglunchbag-Vancouver crew! Photo courtesy of Ron Filio, @Filio Photos. 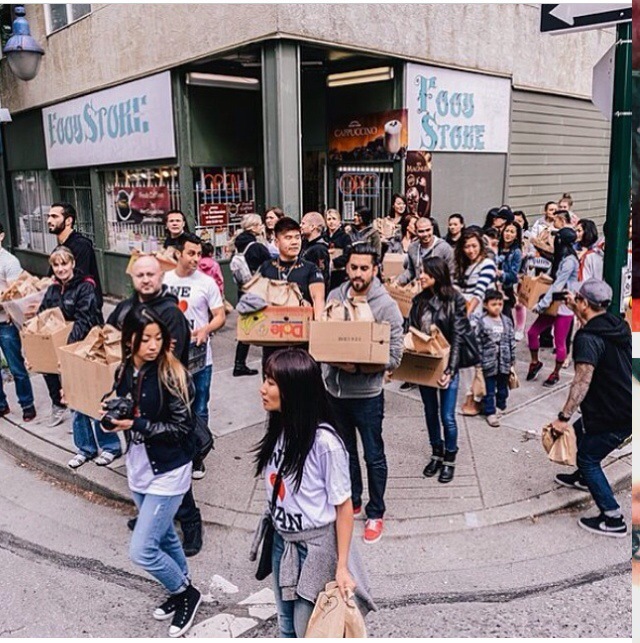 A year and a half later, we have held around 10 hashtaglunchbag events in Vancouver. The turn out of willing volunteers at our first event, was filled with mostly familiar faces. We purchased all the supplies, made a flyer that we shared through social media, asking volunteers to bring a $10 dollar donation to help with costs and voilà! 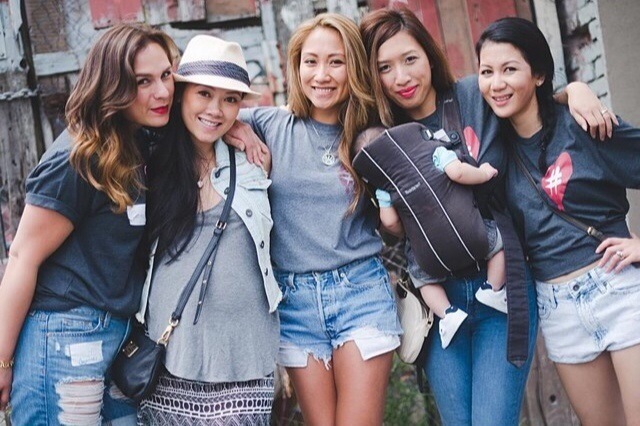 We assembled over 500 lunches at our very first event, which was held at the Vancouver Urban Winery. The word began to spread and at each event, we started to see not so familiar faces. People started to offer sponsorship as well! We have had bread donated to us from Cobs, Canada Safeway has donated bread and baked goods, for most of our events. We have had water donations from We Love Van, fruit donations from Ralph’s Radio and photographer, Filio photos tries to make it out to each event and has captured some amazing shots. We have also held many events at the Electric Owl! We’ve even had some media coverage, including an interview on Global news! With the amount of volunteers that make it out to our events, our first goal of 500 lunches was crushed! 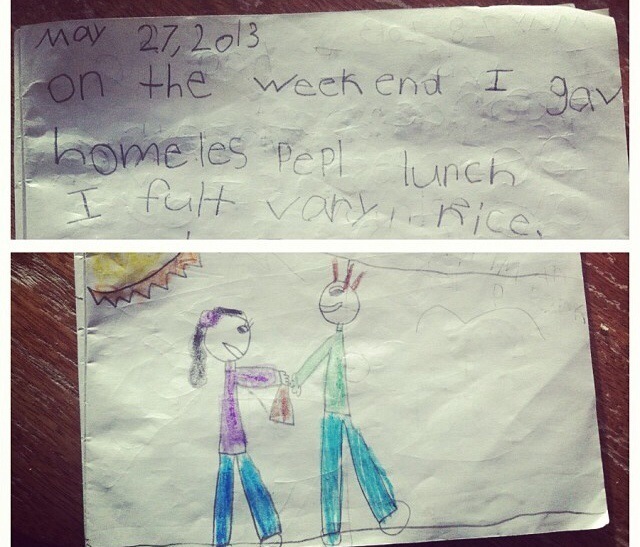 At our following events, we have made and distributed over 1200+ lunches! Our very first event! Ready to distribute over 500 lunches in the Downtown East Side! I love watching the kids get involved. Our events are family friendly and we highly encourage parents to bring their children. It’s an opportunity to bring awareness to them about the homeless in our downtown eastside as well, it’s an opportunity for them to learn empathy and compassion. From a very young age, we try to teach our children the concept of sharing. Mostly, we encourage them to share their belongings. When we show our children that we can share something bigger than our possessions, that we can share our kindness from within, we are creating future change-makers! Big or small, doesn’t matter at all. Giving is contagious! 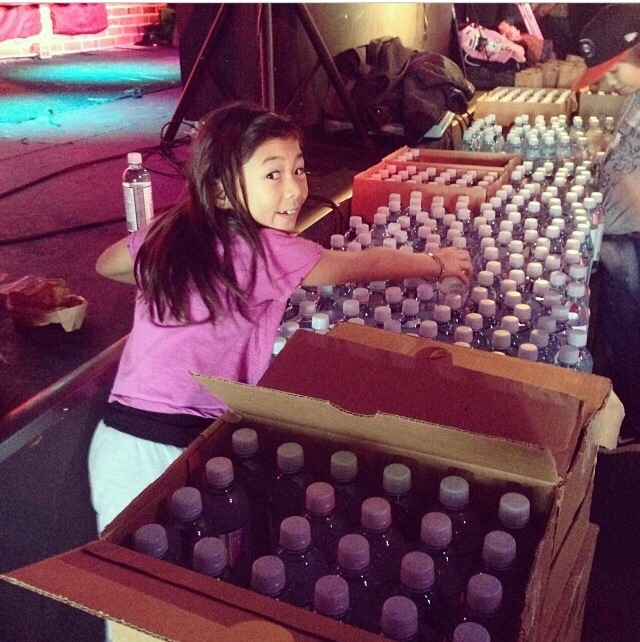 My daughter helping pack waters into the lunches! Thank you,We Love Van for the donation! Thank you to anyone who has taken the time to volunteer at any of our events. There are some pretty amazing peeps here in Vancouver! 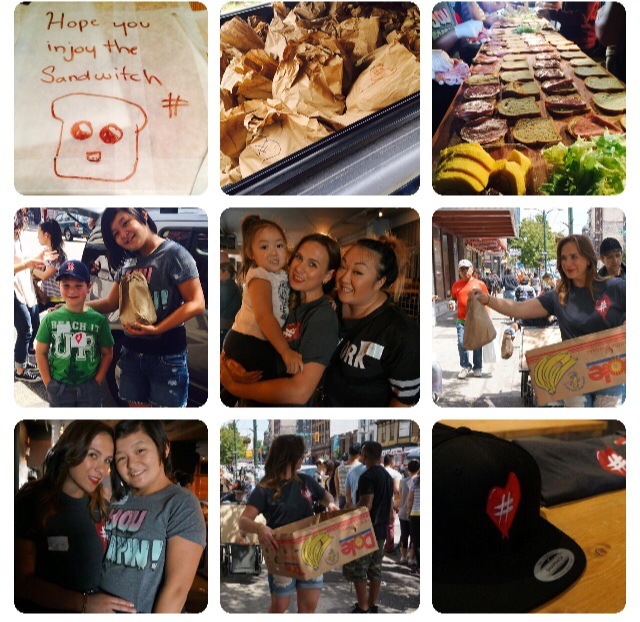 Follow us on Instagram @ hashtaglunchbag_vancouver and stay updated about our upcoming events. After reading more about my involvement with #Hashtaglunchbag, I would love for your vote and support in my nomination for the Leading mom award. I was nominated largely for my involvement with this movement and would love your support. Love this! I want to start doing it in my area! I’ve done “Blessing Bags,” and those go over so well. What a great addition to helping the community! Thank you! Hi Shauna! Check out hashtaglunchbag.org and you can organize it in your city!! That would be awesome!